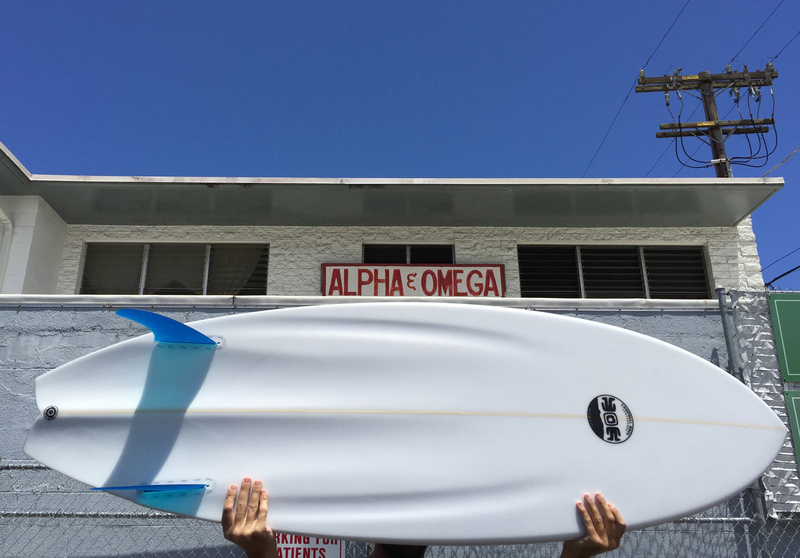 The Alpha Omega is a Bonzer Twin Fin. We built our first one during the Fall-Winter season of 1977-78. 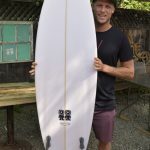 It was made for Duncan, and he put it through it’s paces in everything from knock around surf, to way overhead top to bottom tubes at Silverstrand Beach. 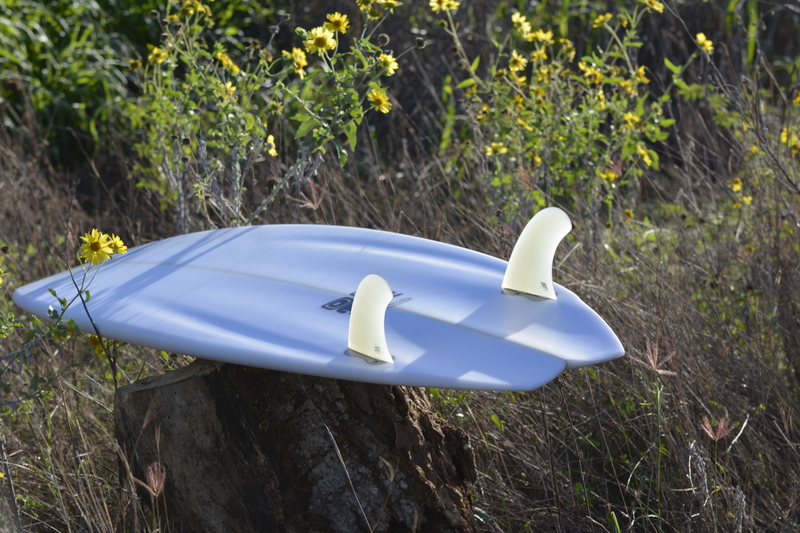 That board was our offering to the emerging Twin Fin craze inspired by the incredible surfing of Mark Richards. 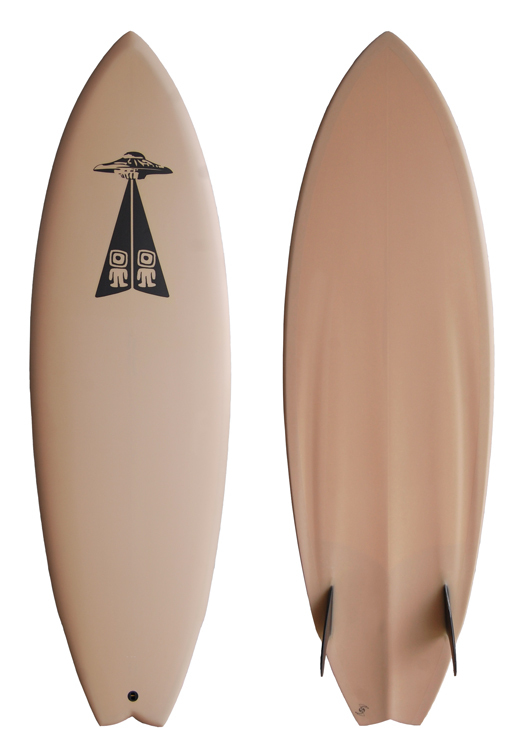 The template was based on what MR was doing, and we combined it with our Bonzer Light Vehicle bottom design. 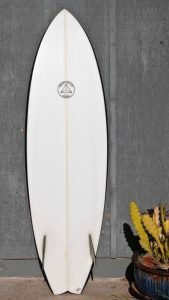 With a combination of jest and bravado, we named it the Alpha Omega. 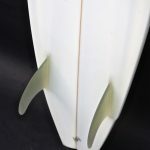 We were so maniacally focused on our Bonzer 3 design, the way we looked at it, was that this Bonzer Twin Fin would out perform the Twin Fins of the day, and therefore the Alpha Omega would be the beginning and the end of our foray in the twin fin genre. Lo and behold about 34 years later the Alpha Omega reappeared. 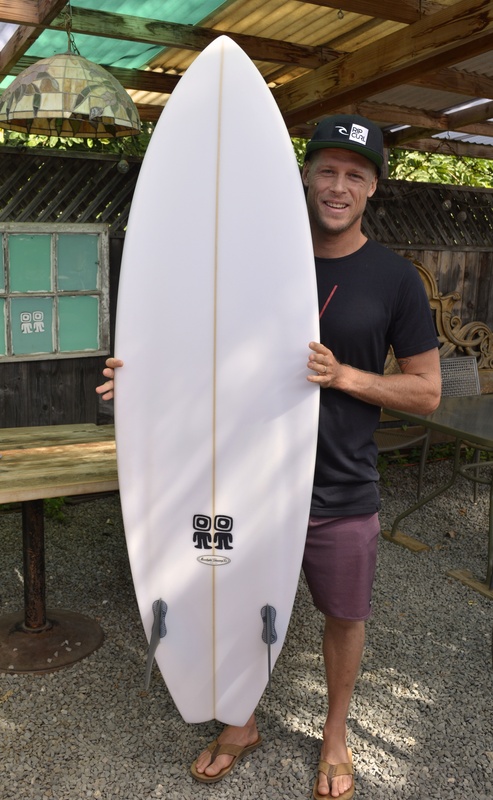 We brought her back at the urging of our friend Fynn Wilson, JP St Pierre, and Duncan. We have slightly modified the template. The tail isn’t quite so narrow, but the nose template is the same as the original. 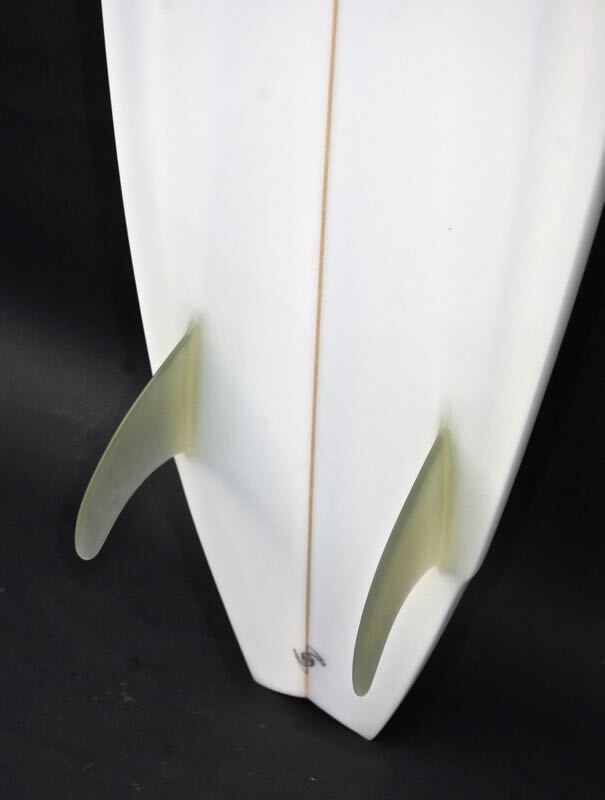 The bottom is the Bonzer Light Vehicle design and the fins are very similar to the template MR used back in the day. The response to the 21 st century A/O has been pretty amazing. It has even somewhat surprised us. 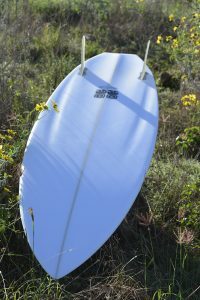 Simply put; it is a supercharged twin fin. 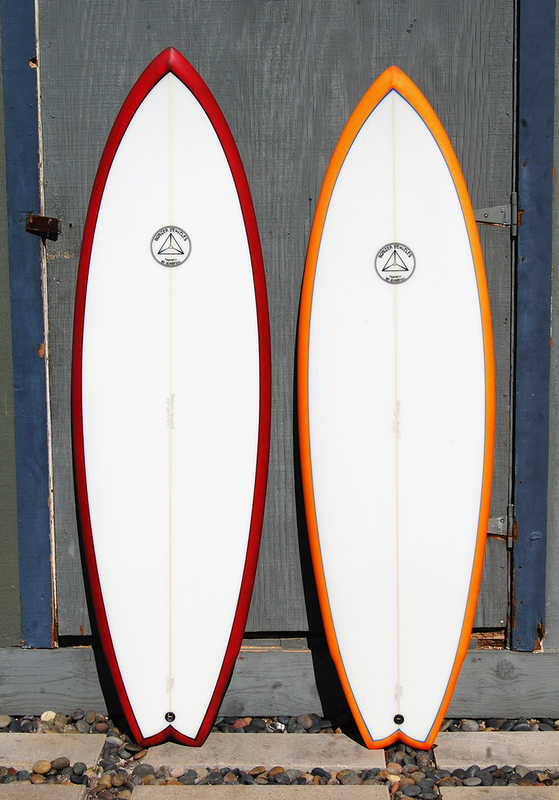 Dave Rastovich demonstrated the A/O’s performance capabilities at Off The Wall a couple of seasons back. 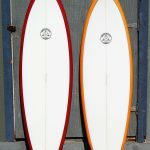 If you like Twin fins, you’ll geta a charge out of the Alpha Omega.